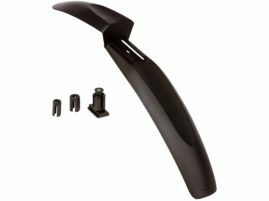 Fender for steerer mount. Attached to the inner tube of the front fork. Extra protection borders and cross look.